Flavored whipped cream is a trick that’s been used on many a dessert menu – but why stop there? 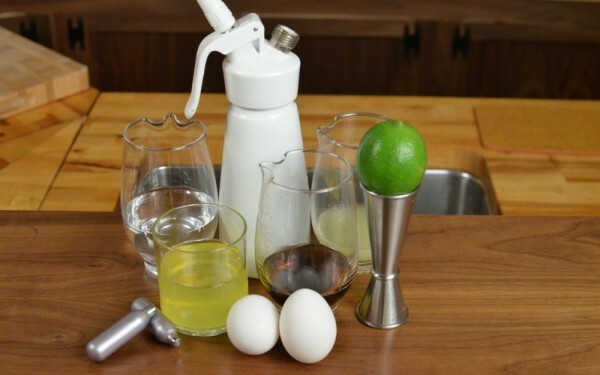 This week we’re talking about how to use a whipped cream canister to make foams of all flavors for your cocktail menu. Yep, we’re getting (just a little) molecular. Foams are (in the simplest description) made up of a liquid that has millions of suspended bubbles inside of it. The result creates a “spongy” texture and interesting, creamy mouth feel. In order to make a foam, you need a liquid that has the appropriate qualities to suspend bubbles within it, and you need bubbles. In this case we’re making a flavored foam, so we’ve added some flavors as well. As for equipment, I’m using a whipped cream canister like this one and charging it with two N2O Chargers (Affiliate links) You will want N2O chargers instead of CO2, as it results in a better foam texture. Close the whip cream canister tightly. Charge with a N2O charger and shake well. Remove the charger and repeat with a second charger. Now your Foam is complete! Having Trouble Keeping it up? If your foams fall quickly, consider adding some powdered gelatin to strengthen the mixture. 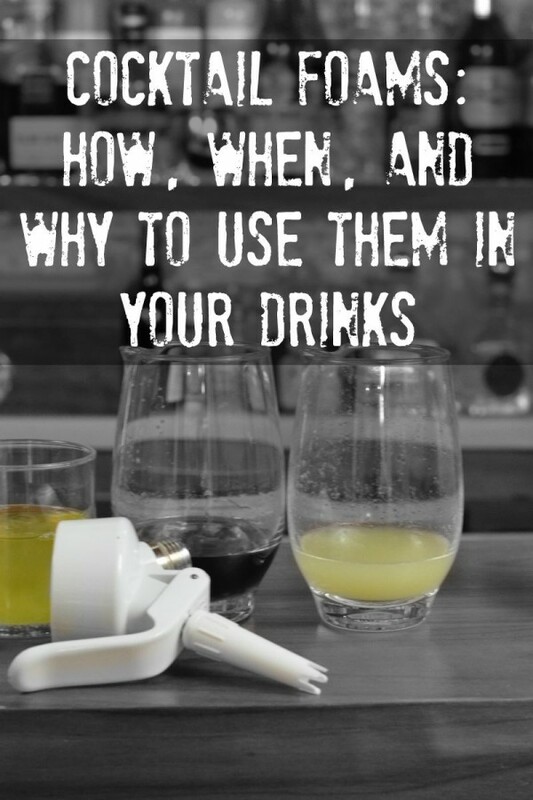 Have you created unique foams for your cocktails? Let us know what flavors you’ve tried in the comments!